Patient paper records are history! There is no debate on that technology is already playing a vital role in healthcare in all areas of the society. ArdoCARE is an Electronic Medical Record system covering all features you need for your hospital, basically patient records and the total of hospital operations.  The empowered patient is at the center of the system and around it we designed all the other functionalities useful to your hospital: from registration to clinical diagnosis and follow-up, from lab management to admin management. ArdoCARE is suitable for various types of facilities, from single-specialty health centers and clinics to multispecialty hospitals, private or public. We the team believe that everything ArdoCARE has to offer its beneficiaries will make a true difference in the world. So, we equipped it as a GDPR-ready solution. Imagine ArdoCARE as a bundle, with the empowered patient at its core. We will easily integrate other systems, such as a billing system or an independent pharmacy system, if required. ArdoCARE application has a user-friendly interface, it’s easy to learn and easy to use. It’s also a responsive application, it can be used just as easily on mobile phones, tablets, laptops and computers. We’ve designed ArdoCARE in a way that one needs little training before using it. We know that implementing a new tool in a very busy hospital is hard, especially in a resource constrain settings. That is why we the ArdoCARE team want to partner up with you in this technological effort to achieve earth-shaking improvements in healthcare. Contact us! Tech Investor in healthcare? 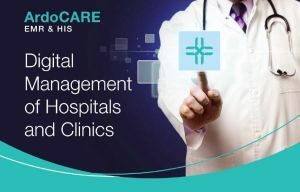 Join our effort to bring ArdoCARE to hospitals and patients! Patients come to trust the medical act based on the ability of physicians to make informed decisions related to treating possibilities. The efficiency of the medical act increases while the treatment costs associated with each patient decrease. Unnecessary and inappropriate interventions and multiple interventions on a single patient are reduced or eliminated. Private clinics and public hospitals now have a modern clinical tool. It supports doctors to cope with new situations, adapt the diagnosis to patient data for each particular case. Doctors get a quick and accurate assessment of the patient's condition and find the most appropriate treatment for that patient, making sure that the best therapeutic options are available immediately. Simple and intuitive features that ensure great user experience for clinicians, admins, and even contributors. New users can easily start working with the software. Our hospital information solution supports multi center operations. It is a scalable solution that expands with your hospital. ArdoCARE allow easy integration with financial accounting system , lab equipment and third party apps. Compliant with the National Health Insurance policy. We believe in a complete partnership where public health sectors are integrated in the benefit of the contributors.